While I love classic joystick controllers, the versatility of something like an Xbox 360/One/PS3/4 gamepad would be impossible to pass up in this insane hypothetical scenario. Gamepad without question. Fits in your hands better and more comfortable without any fatigue. I voted joystick. But they need to be heavy duty, quality arcade parts. The stock 2600, 5200, and 7800 joysticks can shove it though. A Genny pad or converted NES-to-7800 is 1000x better than a crappy old CX-40 or Proline. The CX-78 Euro pad is also junk. Also sadly gamepads are a must for modern systems with analogs or more than 6-8 buttons. True pot-based analog joystick might work well, but they're unobtainable and the modern fancy HAL sensors are incompatible with pad hacks. Check my sig. I've built some freakishly big arcade controllers. One more thing to note, is that arcade joysticks/buttons use different muscle groups compared to gamepads. So it may take getting used to one control scheme or the other, but once you've made the adjustment, both methods are equally viable. Edited by stardust4ever, Sun Apr 26, 2015 11:56 PM. Exactly. The base of a handheld joystick shifts in your hand as you use it, because it is only supported by one hand, working against the leverage of working the joystick shaft, which is a lever. A gamepad is supported by both hands and working the D-pad doesn't apply any leverage to the base. They put the D-pad correct side, i.e., the side that the joystick is normally on in arcade machines. Many early arcade games had buttons on both sides of a centrally located joystick so you could play left or right handed. How many can you name? And of those that you can name, how many were major hits? The first "blockbuster" arcade game which used joystick control was Space Invaders, and its joystick (or two buttons in the case of the U.S. Midway upright cabinet) was on the left. A few arcade exceptions included Joust and Defender where left/right or up/down movement was secondary to flapping or thrust/fire/smartbomb controls. You have that backwards. Joysticks on the right in arcade games is the exception; I can't even think of one major arcade game that originally had its joystick on the right. 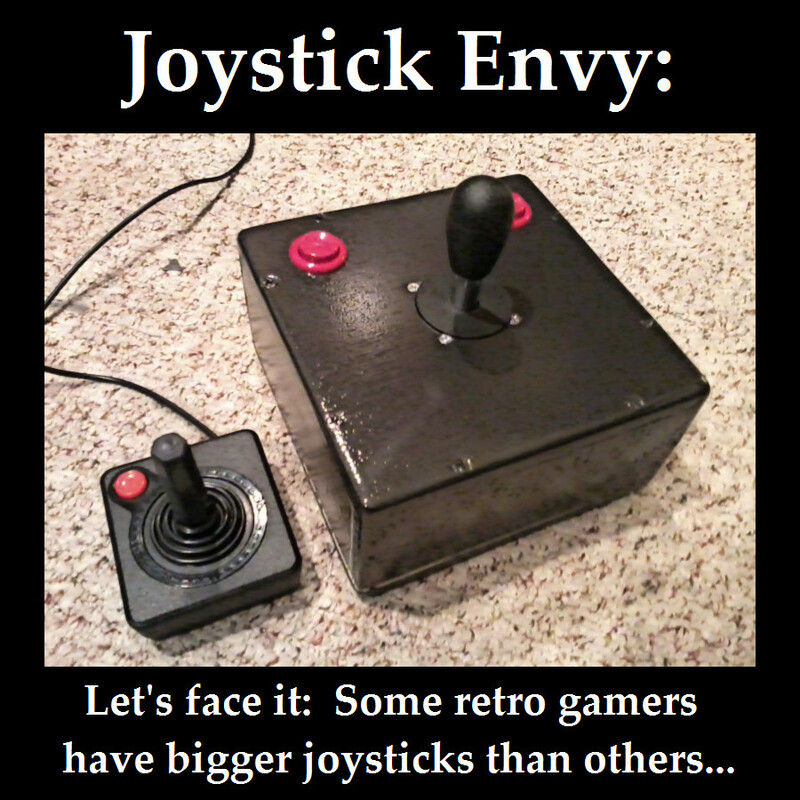 Joysticks on the right are commonly referred to as "wrong-handed" in the arcade collecting community, and they generally only exist in bad conversions (which means the operator did it, not the manufacturer of the video game), and usually on the second-player side (due to an operator unwisely thinking it would look good to mirror the player 1 controls). Some games, like Ikari Warriors, did have wired-in-parallel buttons on both sides of the joystick, but that was far from typical. The typical layout for joystick/buttons games has always been joystick on the left, buttons on the right. Edited by MaximRecoil, Fri Oct 16, 2015 8:30 AM. The Atari 5200 joystick, the Interton VC 4000 joystick. Anyway, joystick is far better, more precise control. I mean you wouldn't use a pad in a helicopter, would you. So the wise people would use a joystick. Edited by high voltage, Fri Oct 16, 2015 12:32 PM. I mean you wouldn't use a pad in a helicopter, would you. You wouldn't use a handheld joystick in a helicopter either. The "joystick" in a helicopter is securely mounted, which is a totally different thing. I like this list. Atari 2600 joysticks as well as most other pre-NES game controllers are rubbish, but if you take the time to actually install arcade parts into a real wooden enclosure, the experience can be very rewarding! Joystick, but only if it's an Arcade style stick and buttons that was right-handed. I prefer it in most old games, and I can't seem to get the knack of subtle analog controls for shooters. Even when I try to make subtle changes in aim, I overshoot my mark. I prefer the "hold until there" approach of digital aiming. I was more accurate in shooters before the analog sticks. As for fighters, I beat a fairly famous gamer in Street Fighter thoroughly and consistently before he won the local Blockbuster Genesis tournament in 1993(4?) He later went on to be Cable TV's best all around gamer. In all fairness to him, he was using a pad when I beat him on my right handed joystick, before Joysticks were the rage, in the Genesis days, and I let my friends try and everyone using my ambidextrous stick said they liked it better than a pad for Street Fighter, even beating him, and we all thought the right handed setup was better for precisely, quickly and without any giveaways, entering dragon punches. Maybe that's a testament to the vitality of the right tools rather than my skills per se. I understand modern games might not work well with Joysticks, but you could make analog sticks with a thumb cross pad and 4 finger buttons on both a left and right stick, so you can access all buttons without reaching for the button portion of the pad. I call it the Table Pad. Thankfully there's no dictator decreeing all controllers are either sticks or pads. I've got a design for a joystick I feel comfortable with. And I'm planning to use it with as many systems I own by having working joystick PCBs connected to the stick, and yes it's ambidextrous, with button and direction swappability. It can even play Track N Field / Activision Decathlon by making 2 buttons right and left and a third jump/throw, or Pac-Land by making left and right run buttons, and joystick up for jump. I can keep buttons relative to finger, like street fighter and most games, or absolute like in Tutankham and Pac-Land. I grew up playing left-handed pads and arcade sticks. So I modeled my console joystick enclosures after the original game pads. When I started collecting Atari in 2012, I built an Ambidextrous VCS joystick so I could use either hand, and have found I use my right hand on the stick more often, although games that use multiple buttons I continue to play with a left stick. Joystick because I don't have the dexterity in my hands like I used to. . . . . . . I'd say pad. So many pad games don't work well on a stick, or at all, while I've never seen a stick game I couldn't easily adapt to using a pad with. I've played Tetris on a stick. Pad and stick can be equal input methods (different muscle groups), but choice relies on the type of game you are playing and if accidental diagonals are desirable. if im thinking forward, it'd have to be a controller/pad- my hands just dont tolerate a joystick for more than 30 minute bursts of games. you can always stick it .... where the pad is .... ouch!!! I'll go with the Genesis Arcade Joystick, then. Meh, for platformers, which is what I like to play, the pad is best. 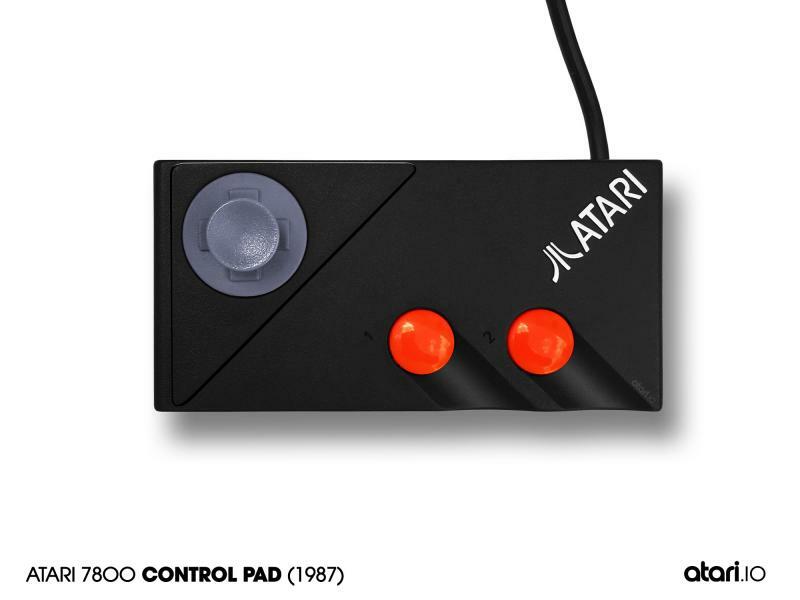 Even on my 2600 I use a 7800 d-pad by Atari. Love it. Edited by doctorclu, Sun Aug 12, 2018 9:52 PM.